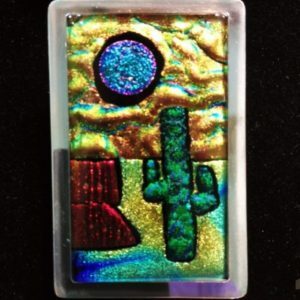 Pieces of dichroic glass are cut and stacked and a small piece of clear is then placed on top and the glass is fused in a kiln at 1500 degrees. 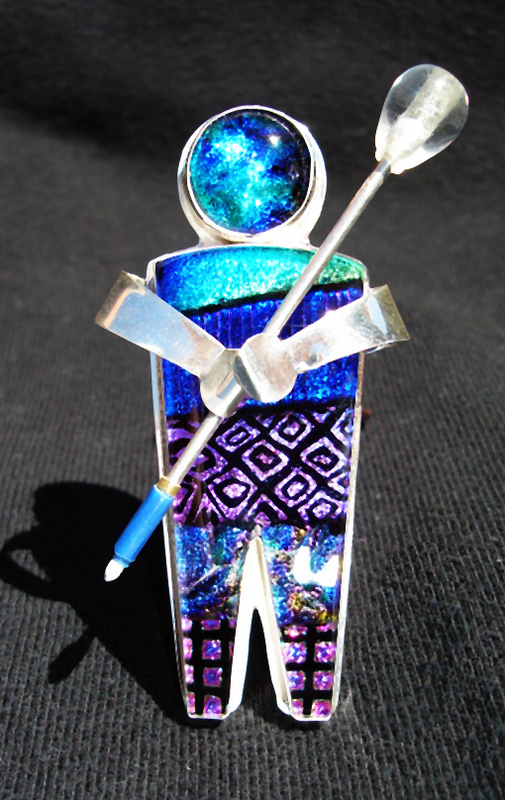 Once the pieces are melted, the kiln is turned off and the glass is then slowly cooled to room temperature. Next a design is drawn out on the surface of the glass and cut out by had with a diamond saw. 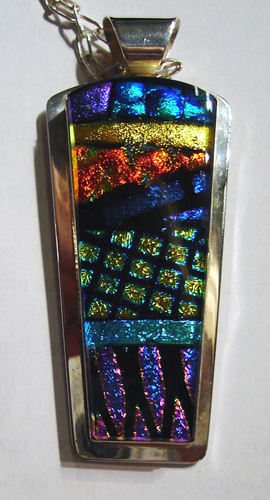 The glass is then shaped and polished and wrapped with fine silver bezel. 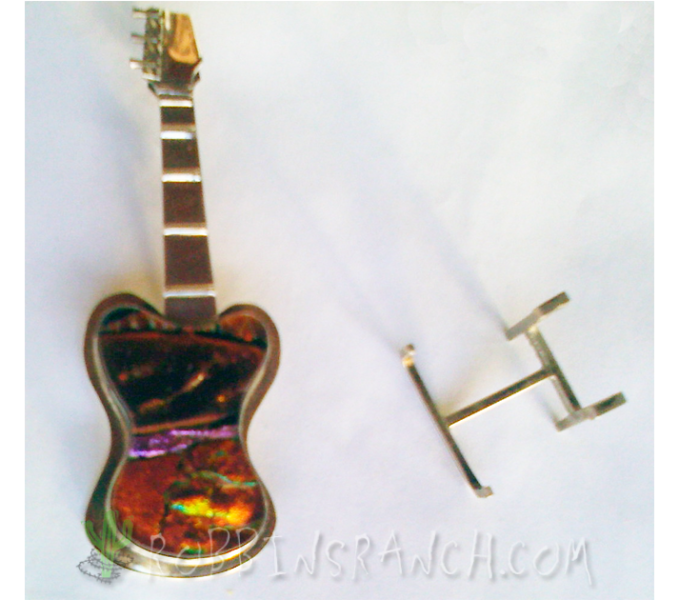 The glass cab is then set aside while all the fabrication of the setting takes place using sterling silver. 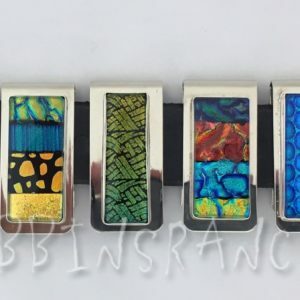 The metal is cut, soldered and polished and the glass is then permanently set into it with a permanent epoxy, for a one of a kind art piece, that can be worn as a lapel pin or pendant.